Following last year’s live action ‘Cluedo’ experience, Tagline returns with a new immersive gaming adventure that will encourage players to commit a crime – without fear of arrest. 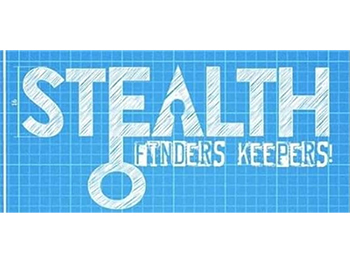 ‘Stealth – Finders Keepers!’ will challenge up to eight players to utilise their collective knowledge and problem-solving skills to carry out Birmingham’s biggest art heist. Along the way, puzzles will keep gamers on the edge of their seat, forcing them to make quick, split-second decisions in order to succeed. Taking place in Centrala, a contemporary art gallery in Digbeth, ‘Stealth – Finders Keepers!’ will run at various times on both Wednesday 2 and Thursday 3 May. Tickets are free but must be booked in advance online. Theatre company Tagline comprises of final year Stage Management students from Birmingham City University’s Royal Birmingham Conservatoire.